If you are playing rugby then you will need to invest in a decent pair of shoes that would perfectly support your ambitions. 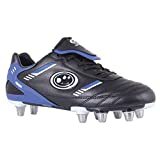 Here is a list of best selling rugby boots that you could pick from while enjoying a peace of mind that you have got your hands on one of the best deals around. You will need to check individual reviews on each shoe to get an idea on whether it would be suitable for your needs. 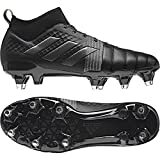 This is important as not all rugby boots would be good enough for your individual needs as several factors go into consideration when choosing them. Your comfort levels when playing rugby after putting on a pair of shoes designed for this sport would be extremely important. 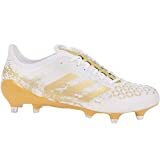 If you go for the best rugby boot around but you feel discomfort wearing them and playing rugby then it would not work in your interest. Similarly, you will want to consider your budget, the shoe size that would perfectly fit in your feet as well as the colour of the shoes. 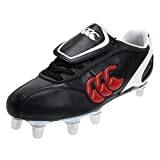 It often proves to be a challenge to pick from a huge variety of rugby shoes which is why it makes sense and usually pays off referring to lists of best sellers on popular stores around the country so you can get an idea on what may be trending. Lightweight: The Optimum Men's Tribal Moulded Stud Rugby Boots are manufactured from a lightweight synthetic pro performance PU upper, which can enhance your speed and agility, as well as improve your overall performance in a rugby game. 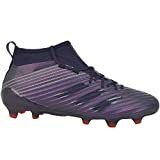 The boots synthetic PU upper also supports you to have a good fit that can help you play or train without any problems. Durable: Optimum Men's Tribal Moulded Stud Rugby Boots have six-stud configuration that is durable enough to keep traction and stability in the most uneven grounds. The boots also have a sole made of EVA, which is perfect for Rugby field. Amazing Color Availability: Our rugby boots come in five amazing different colors. You can choose from Black/Red, Black/Blue, Fluro Green, Fluro Orange, and White. You can match the color of your team uniform with our available rugby boots color. Internal TPU Heel Counter - Provides great rear foot stability. 8 Stud Outsole Configuration - With the option to add one more stud for stability, power and traction.